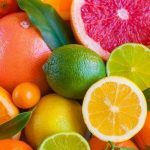 There’s a saying in Natural Health that goes: “You don’t get healthy because of the food you eat, you get healthy because of the food you don’t eat.” It’s a phrase I repeat to all my coaching clients and in this post I won’t talk about how I started eating raw fruit and vegetables, instead I’ll focus on telling you how I stopped eating all the other stuff. The first thing I quit was meat. I stopped eating ALL meats literally overnight and it was the easiest thing in the world to do. I only had to read one book for me to understand that we are not carnivorous and that the advantages of eating meat are virtually nil, while the disadvantages are enormous. Eating meat contributes to and causes cancer, diabetes, heart disease, obesity and countless other problems. I have not touched meat for over 6 years now and I am healthier than ever. You’re probably wondering where I get my protein from if I don’t eat meat? The answer is: I get my protein from fruit and vegetables. Not only do I get my protein from fruit and vegetables, but it is the right type of protein too. Nutritionally speaking, you should know that many diseases are caused by the consumption of excessive amounts of protein, rather than by protein deficiency. The confusion is not made easier by many “teachers” in the raw food movement selling “supplements”, “superfoods” and “magic pills”. They advise people to eat diets which are not based on any science, but serve only their own commercial interests. A true raw food teacher will not sell you anything but their time and knowledge, as the only food we are meant to thrive on is whole fresh fruit and vegetables, and nothing else. Soon after quitting meat, I concentrated on eliminating all other animal products from my diet, such as eggs, milk and cheese. It was a relatively easy process too, until the only thing left to quit was the dash of milk in my coffee. Eventually I quit the milk too, and the coffee! 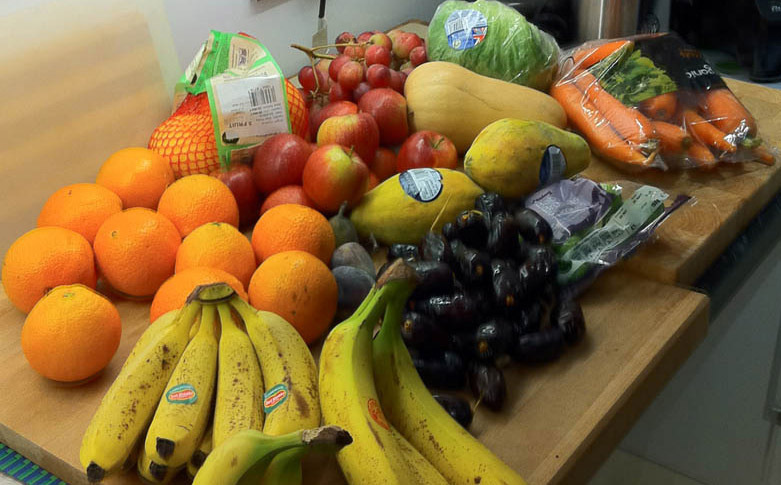 I can’t emphasise enough that by quitting all these foods you will also unburden yourself of the hassle of having to buy them; no more going to the supermarket just to buy milk! You will free yourself from the slavery and the never ending addiction cycle of junk food. You might think you need lots of willpower to eat this diet? Not true. You don’t need any willpower because by stopping eating junk food you will start to feel better. Sure, some people might take time to master a raw food diet, but not willpower. How great you will feel eating this diet it is something you will never know until you try it. The more you acquire a taste for raw food the less you’ll enjoy the taste of cooked foods. It’s how you eventually quit eating the cooked stuff; because you stop enjoying it not because you have to. I stopped eating all chocolate, sweets, cakes and any other sugary stuff fairly easily too, I replaced all that rubbish with raw wholefood treats such as ice creams and smoothies etc. The same happened with fizzy drinks, I quit them all without any difficulty; Coca Cola and other soft drinks taste like cough remedy to me these days. Should you eat 100% raw? Well should you? 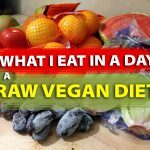 I eat 100% raw not only because I enjoy the taste of raw food much more than cooked food, but the fact is I feel amazingly healthy on a raw food diet. It did take me 5 years to get to 100% raw though. If I had a choice between eating a properly combined low fat cooked vegan meal and a high fat raw vegan meal, I would always recommend the low fat cooked vegan meal. It’s not always about choosing raw, but choosing the healthier option at any given time. 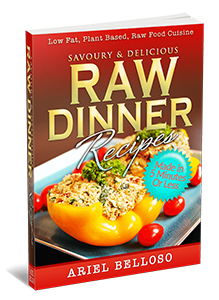 Obviously 100% raw in the correct combination, and with the correct fat levels will always be the ideal diet. 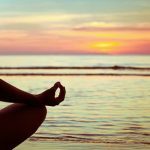 You must remember that in order to thrive in good health there are other elements to our wellbeing that are as important as food, such as good rest, exercise, mental poise and so on. So never be fanatical about food alone, because you will be missing a point. In Natural Hygiene we say “your health is as strong as its weakest link”, so, for instance, you can eat a perfect raw food diet but if you aren’t getting enough sunlight you’ll suffer from vitamin D deficiency, which could kill you! Been thriving on Livng foods since 1979!! Just tidying up my emails and read yours. I too have been eating 100% raw low fat vegan for 10+ years. Keep up the good work, I have my own Health Food shop and yes we sell supplements and many things I no longer eat, we wouldn’t be able to pay the rent if we didn’t, but teaching starts where people are and walking our talk. My customers and clients have followed my nutritional journey and some eventually join me, but I never condemn where they are, I was there once. Keep up your good work and I rejoice every time I meet others who eat the 80.10.10 raw way, I love it. may be we will meet one day at the UK Fruit Fest, even this year. Many supplements i.e minerals, monatomics, enzymes etc are all natural and act as a boost depending on the specific supplement. There is nothing wrong with selling supplements, especially when its natural, and especially when it helps our physical, mental, spiritual and emotional bodies. Thanks for sharing and your concern. We give meaning to everything as well as decide what has a value of vibration, usually based on judgement or prejustice. It is true with all substance we eat, drink or apply topically. Your body follows the beliefs and instructions you give it. We made up the whole system of thinking about which foods have a ” higher vibration” than another. Ultimately it is energy and frequency that determines or health and longevity or lack of it. Thanks for the great post, it was a pleasure to read. When you said you would go for the low-fat cooked vegan meal instead of the raw high fat vegan meal, i wondered what you would recommend when to choose between a non-organic vegan raw meal or an organic vegan cooked meal. Because i have to think about this decision a lot. Hi Manuel, thanks for your comment. I am glad you enjoyed the post. The issue of organic is complex. The quick answer is organic is better but it is not always possible. I will write a new blog post actually answering your concern. When choosing food I used to think in this order of importance: 1- plant-based, 2- wholefood, 3- raw, 4- organic. I’ll explain in more detail when I write the post. Make sure you get on my list to be notified. I hope that helps. Thanks a lot for your kind reply and your interesting & helpful answer. I just subscribed & looking forward to your posts. Love it brother, epic article! Thanks Chris. I am glad you enjoyed it. I am a vegetarian since year 1994. I have converted my diet about 20% of raw diet. As a vegetarian I don’t have protein deficiency problem. 1. Hormones is very important too. 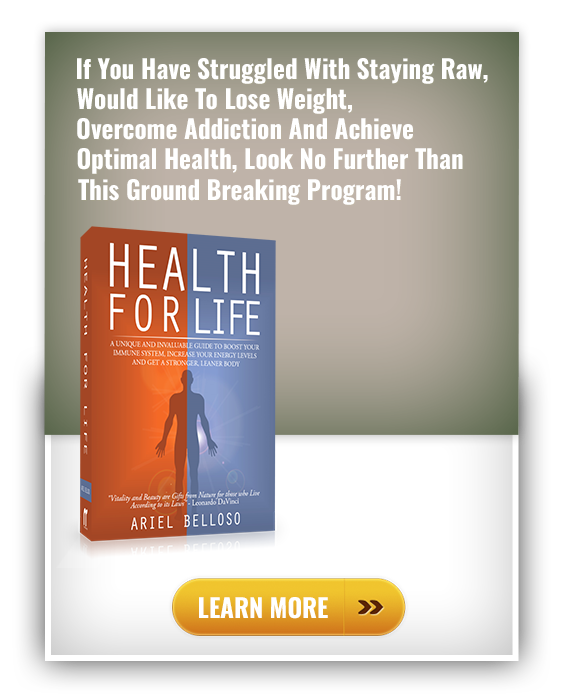 Is raw food diet will cause the hormones imbalance or deficiency ? Because plant doesn’t has hormones. 2- A few friends having the stomach problems because of eating raw eating. It’s easily cause “Helicopter pylori” diseases. May I know how to prevent if I still follow raw food diet? Coudl you please adivse what was the name of the book? 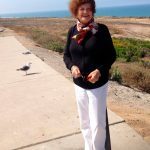 What do you advise a weight loss surgery patient like me to do? I have no known food allergies, but I get very nauseous when I eat animal products (and gas). Which book did you read that made you realize that we should not eat meat? I would like to read it and share it with others. Would u mind explaining exactly what is a raw food diet? What about b12 deficiency with your diet. Hiw do you contend? Thank you so very much Ariel for your wisdom and sharing it with others. I am striving to eat this way and inching my way along nicely. It surely makes a difference in the way you feel. So light and energized. Then if I go backwards you sure do get a blow back!! Imagine that!!! I have been eating almost raw for 3 weeks now. I struggle at night I want warm/ hot food.